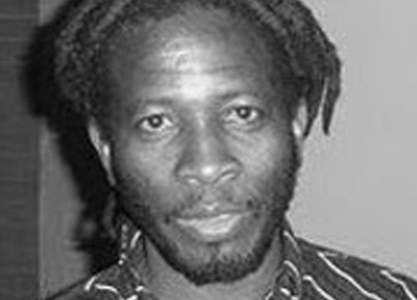 SIPHIWE KA NGWENYA was born in Soweto in 1964. He is a writer, theatre director and performer. He has a diploma in Speech and Drama from Fuba Academy and participated in a Voter Education play commissioned by the Matla Trust in 1994. He was a member of the Rishile Theatre Project that presented plays by Nadine Gordimer and Don Mattera and since 1994 has been a member of the Botsotso Jesters poetry performance group. Ngwenya has performed internationally in countries as diverse as Denmark and Pakistan. A selection of his poetry was published in the 1992 anthology, Essential Things. Other publications that have included his work are Ingolovane, Botsotso, New Coin, Timbila, Kotaz, It All Begins and Writing from Here. A collection of his poems, Soul Fire, was published in 2005 by Botsotso.